Noel's Garden Blog: Beyond 'nature as virgin – garden as whore'. Very interesting and thoughtful post. I always enjoy your books and blog, just not sure where all this leaves me. I garden in Toronto, in a bowling alley shaped space in an urban/suburban neighbourhood. So no acres or vista or view to be had. Everything I plant is right in my face, so to speak. My 'garden structure' consists of gravel paths, a garage used as a shed, a small pergola and a small slate patio. 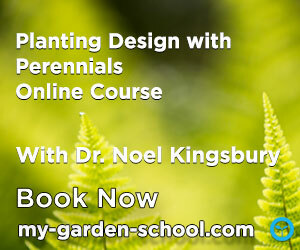 Plantings are mixed - small trees, shrubs, conifers, bulbs, perennials. "Earth as garden." Hmmm. Catchy phrase with a huge whollup. A great post. You've contributed quite a bit to this conversation through your collected works. You bring a broad and international perspective. 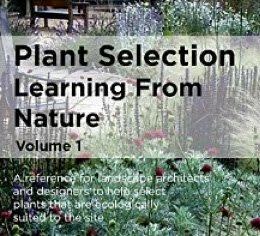 I'm very much looking forward to your new book with Oudolf. My copy of your last one is quite dog-eared and tattered. Thanks for the very thought-provoking post. I garden in Central New York state, on a not quite half-acre piece of suburb carved from former farmland. I love the look of "wild gardens" (a dichotomy, but not a contradiction), and I love many other kinds of gardens. They each have their own beauty and aesthetic. But you're right, there's no reason any garden can't fulfill multiple purposes within the human and natural environments. My patch of former farmland provides vegetables and flowers, habitat for birds and insects, native plants and a place for our kids to play. It's all good. I can't create a tropical garden here, and I don't want to imitate someone else's style plant for plant. But, I sure enjoy looking and dreaming and adapting some ideas from expert gardeners and landscape designers for my own yard, and seeing what my neighbors do in theirs (expert or not). Thanks for your blog; I'll have to explore it more. Defining what nature is is a difficult one. The only examples I can think of where the ecology has not been subverted to progress are the marginal pastoralist lands. 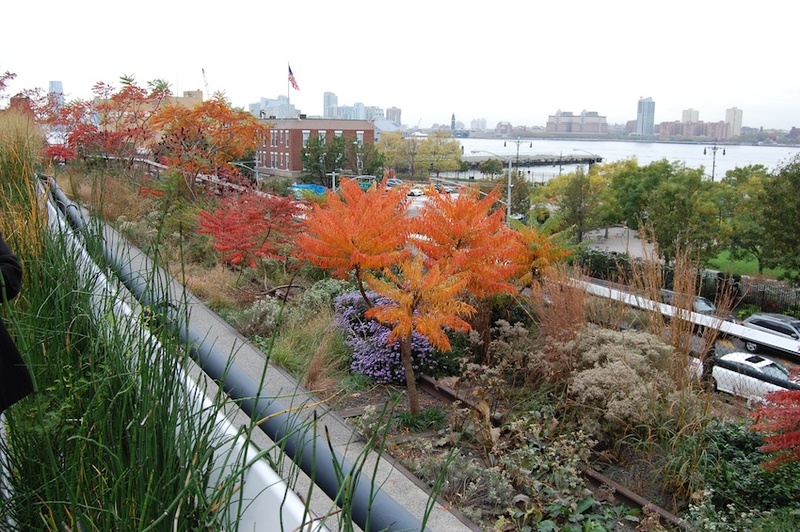 How to translate what we see and muse on into responsible garden design? Am eying up The Principles of Ecological Landscape Design by Travis Beck. Yours too of course! Thank you for this wonderful and thorough post. I really hope more people beyond landscaper designers and passionate garden afficionados will start thinking about these matters a bit more. 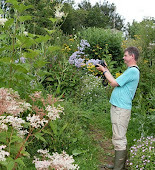 It would be great to see you over at the Blooming Gardening Blogs Community. I don’t think the idea of the earth as a garden is a new idea to get used to (see garden of Eden in the Bible), what is new is that we are starting to make considered attempts at recreating vegetation communities from scratch and directed attempts at managing ‘natural’ communities to achieve a specific aim i.e improved habitat for a target species. At the moment this seems to be a hit and miss affair mainly through lack of information on what is a large and complex subject. I suspect that the money available for horticultural research in creating new plant communities will be limited, but a start would be perhaps a computer program that could select horticultural plants in terms of something like the Ellenberg values information that we have in the UK on native plants (see here with the English Bluebell http://www.brc.ac.uk/plantatlas/index.php?q=plant/hyacinthoides-non-scripta ) in combination with information similar to the national vegetation classification, as well as using the longevity data available from researchers like Hansen and Stahl. This is something that the designer does now but to a certain extent they choose using personal knowledge of plants work that may not always translate if they are working internationally. The three main issues that would follow for the designer that would be important for urban areas are attractiveness, cost of maintenance and longevity. In the wider UK countryside increased nitrogen deposition and changes in farming practice seem to be the biggest threats for many of our rarer native plants and I think we will increasingly move towards a future where our towns and cities are more biodiverse, especially in terms of plants, than much of our arable farmland. We’re probably there already on that one I imagine; it will be interesting to see what the results of the RHS bugs research brings. As a gardener, I struggle with some of the points you make. So long as we garden, we are upsetting nature. I believe that to do nothing at all would be the only way to achieve authentic nature. That isn't going to happen though. The point is to find a balance, right? And perhaps draw a distinct line between what is manmade and what is truly natural so we never forget or lose site of it. It is very nice when nature in the city does look nice but it requires work and some cities or communities just don't want to take the time to do it. Excellent point about much of "nature" being influenced by human activity. From the Australian outback to the Amazon rainforest any environment that humans have moved into (which is pretty much all of them bar (perhaps) Antarctica) they have changed to one extent or another. The trick is to appreciate how much of a difference we are making by our presence and to try to moderate it for the benefit of not just ourselves but of other organisms as well. Simple on paper, not so in practice. We work in Thailand and the indifference of some people to what influence plants that are fashionable have on the local flora and fauna is worrying, to say the least. I like the global and historical perspective of this post, but when it comes to gardening, we are concerned with individuals. Some of these individuals will be influenced by fashion, or what they see in magazines, at flower shows or in the Olympic Park. My concern here is that when the fashion for stylised nature passes, these gardens will be grubbed up in favour of the next fashion - and where will the creatures who have come to rely on the network of nature-inspired gardens go then? On a positive note, there are many gardeners who know their gardens intimately. People who can tell you when/where they saw a newt or a bat - the kind of custodians who will spend an hour counting the birds which land in their garden. For these people, cause and effect has more importance than fashion. So I suppose it is the reason behind the decision to create a natural-looking garden which is at the heart of my concerns. One of the problems I have with stylised nature is the tendency to kill grass and remove topsoil to create the perfect environment for a stylised wildflower meadow. It all seems to miss the point rather. I suppose it is the concept of removing a bit of nature we don't like, to create a more appealing version of nature that I find a little difficult to stomach. Much as I love the Olympic Park, I cannot forget that there were natural habitats on that site before we created a corner of aesthetically pleasing stylised nature. Linda's comment is very enlightening. Allowing our fertile Fens to revert to their natural state would do little for the ecosystems there and it certainly would not help to feed a hungry planet. Certainly, I haven't been able to give this post the time it deserves, but my off-the-cuff response is a garden, any garden, is nature; just as any man is an animal. Why don't we get this concept? I like your front picture. It caught my eye. Enjoyed your article, got me thinking. In Australia don't think we treat nature as a whore, but as a commodity, lets dig it up. Which makes me sad espcially in the Outback where the colour of land and sky and plants is brillant and then they wreck it. We have a mess with our National Parks, because Australia started as States and then became one country so everybody does their own thing. Took me years to realise that the Conversation Department of governments doesn't mean looking after the land, it means we can cut it down, dig it or ignore it. Our lovely Victorian Liberal Gov. has just slashed many jobs of people who were out in the field trying to save our indigenous flora and fauna. It makses me really cross, that we don't care about our wild/farmed areas. I am tried of the same of politicans who are business men wanting to make money by mining, logging etc. Actually I think nature and gardens mess together, plants self seed from other places brought it by wind, water, animals, just as we plant things. Try as humans like, we can control the garden to a point, but plants always like to go their own way. Very provacative post, much to contemplate and ponder! I know for certain that trying to plant in a more natural way and in harmony with your space on Earth can bring unexpected consequences. While I was happy to see bluebirds return, I was less thrilled to find ground hogs appear. And while I love a good garter snake or two, I was less than thrilled to find an enormous couple of water snakes move in. As Nature found its way to my yard with less and less grass and over manicured spaces, I had to learn to appreciate the results! Thank-you for the intelligent and balanced views you offer. Eco-illusions.I love that .I appreciate your intelligent and balanced views . Thank-you.You also make me smile when I read your stuff. I visited the High Line for the second time,in August this year. I was bemused that the wildness was being beautifully manicured and tidied by a band of horticultural worthies. Such a well groomed landscape scheme. Is the natural look a bit of a con; it seems as 'natural' as the schemes of Repton & Brown. Perhaps, if the designers really want wild or natural, strict instructions should be given to the owners to leave the project well alone. Let it be authentic in its wildness, or have I missed the point of this style of design?